All New York gays began running into parking meters, streetlights and newspaper stands when advertisements for David Beckham’s H&M underwear campaign was first unveiled. We all wanted to see the Brit in the buff and suddenly our wish came true. In fact, one can see his crotch blown up several meters wide many places in Manhattan. But there is a reason retailers gave us Beckham’s Homo-Christmas package to us early. Retail industry experts are predicting that the US will experience strong sales in retail this spring and summer. 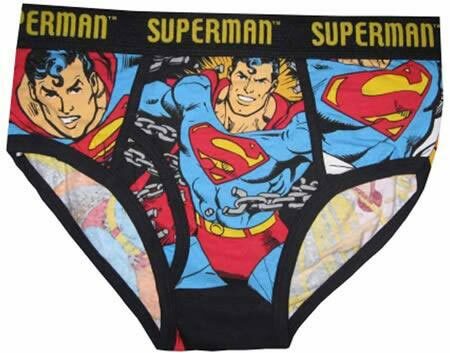 One item that sales analysts will be focusing on is underwear. Yes, it’s true: old businessmen will be watching you shopping for undies very closely. The reason behind this focus is because of something called the men’s underwear index (MUI); reasoning is that men’s underwear is a necessity so its sales should remain steady, save times of extreme economic turmoil when men wait to buy new underwear. One big supporter of the theory is economist Alan Greenspan. If you believe this trend is a valid economic indicator, perhaps you should start investing now in your favorite underwear brand. National Purchase Diary Group (NPD) reported that total men’s underwear sales jumped 6.4 percent, to $3.28 billion in 2011. Underwear has suddenly become hot. In fact there is now a Groupon for undergarments. CheapUndies.com, finds underwear deals for around 60 percent off. Co-founder Michael Grider told BusinessInsider.com, “People shouldn’t have to pay outrageous prices for a nice bra or a pair of boxers.” Don’t worry, they aren’t used (but if you want a pair of broken in undies, you can find them here). What? Not freaked out enough? Well, someone was crazy enough to come up with a male version of pantyhose called ‘Mantyhose’. Sadly website e-mancipate.net offers many different varieties of Mantyhose for men; a man hoping to slim can buy a pair in a black-orange pattern, camouflage, and sheer white like an old country Englishman. Whats worse is that Forbes released an article with five reasons why Mantyhose can become the next Spanx. What. The. Hell. 2(x)ist, which is located in Midtown Manhattan. The creative director currently is Jason Scarlatti who also is a comedian, oddly enough. C-IN2 launched in 2005 is headed by Greg Sovell who used to head 2(x)ist. He created the brand to compete with his former product. Its designs are big in the fashion industry, leading to its early success. Fashion designer Andrew Christian has his own brand of underwear. The biggest line is ‘The Flashback’ that creates a bubblebutt without gym work. From Australia comes the brand aussieBum, which has gained achieved internationa lrecognition Rather, the brand relies on its online presence which is why it looks like this.